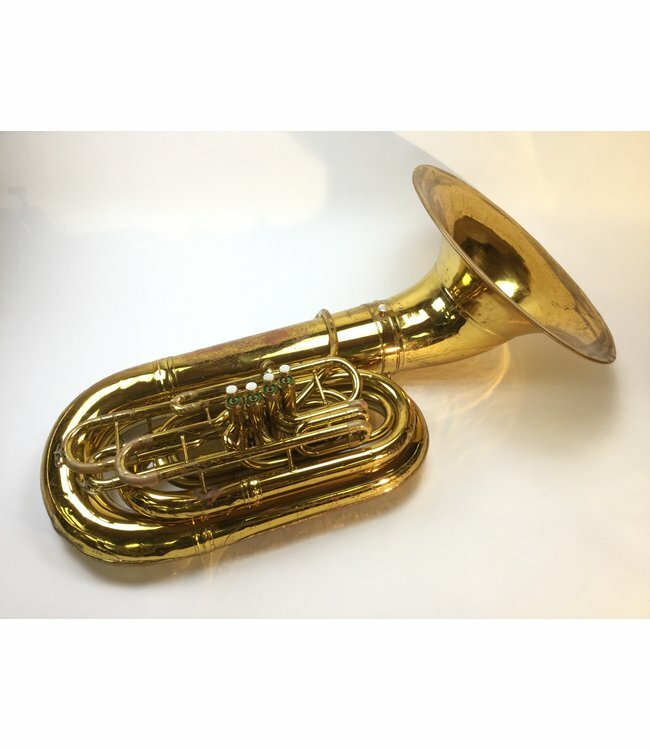 Used King 2341-BF BBb tuba in lacquer with cases. 21.5" detachable bell front bell and 4 front action pistons of .687" bore. Classic tuba takes standard American shank tuba mouthpiece.